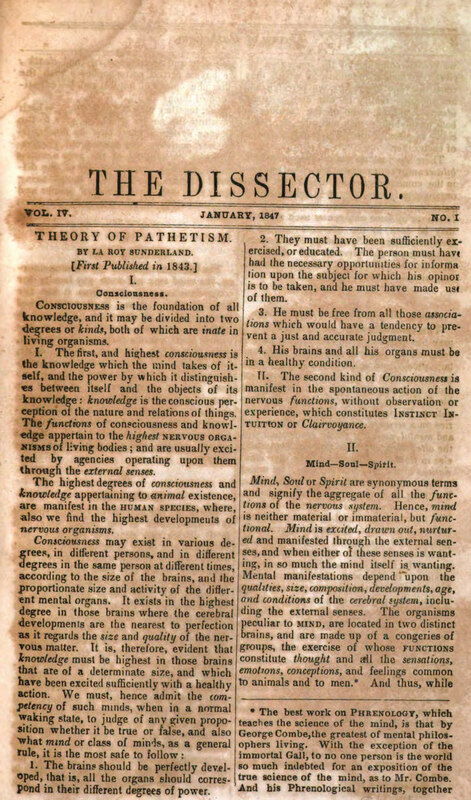 Quarterly Journal of Medicine, Surgery, Magnetism, Mesmerism and the Collateral Dciences with the Mysteries and Fallacies of the Faculty. A mixture of mesmerism and contemporary medicine. Contributions (on Pathetism) by La Roy Sunderland. NYU; Academy of Medicine; NY Historical Society; University of Chicago; National Library of Medicine.